Your credit report is a record of your credit activities. It lists all of your credit card accounts and loans, the balances as well as your payment history. 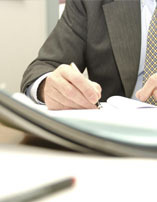 It also shows if any action has been taken against you because of unpaid bills such as a lawsuit or bankruptcy filing. Because businesses use this information to evaluate your applications for credit, insurance and employment, its important that the information in your report is complete and accurate, especially if you plan to make a big purchase like a home. 4. The FCRA mandates that all CRAs reinvestigate the items in question usually within 30 days unless they consider your dispute frivolous. They also must forward all relevant data you provide about the dispute to the credit card company. After the credit card company receives notice of a dispute from the CRA, it must investigate, review all relevant information and report the results to the CRA. 7. In addition to the CRA, you should also write to the credit card company about the error. Again, include copies of documents that support your dispute. If you are correct meaning the information you disputed is found inaccurate the credit card company cannot use it again. Further, at your request, the CRA must send notices of corrections to anyone who received your report in the past six months.